Conventional wisdom holds that, with the spread of farming, foraging in forests and bushlands is a petty income for only a few. But in 2013, the Poverty Environment Network (PEN) – with 33 PEN partners, the world’s largest global analysis of tropical forests and rural livelihoods – showed otherwise. The results from over 8000 households across 24 countries suggest that, for millions of rural families across the tropics, ‘wild’ resources make up a large share of their income. Underestimating the importance of this income source risks making decisions that could exacerbate poverty. So, armed with a host of findings that have taken even the researchers by surprise, the PEN team has been disseminating the results to all corners of the globe and helping others, including the World Bank, to draw a more accurate picture of rural welfare. This agricultural and environmental ‘bean counting’, as CIFOR scientist Sven Wunder refers to it, allows the world to make decisions based on a much better picture of what is really going on.  Armed with the PEN results, CIFOR has teamed up with FAO, PROFOR and others in working with the World Bank to develop an explicit forestry module that may be included in their Living Standards Measurement Surveys (LSMS). Apart from a few major products, the LSMS currently ignores most forest income sources. Preparations are now underway for pilot testing of the forestry module in Indonesia (led by CIFOR), Tanzania and Nepal. We’re helping the World Bank and national statistics bureaus do a better job of measuring the importance of forests to rural livelihoods. We’ve been trialing a system that tells us who is downloading our papers and why, so we can develop more tailored strategies to share and use knowledge. We’re more interested in knowing who is downloading our products and how they intend to use them, rather than just a blind number of downloads. In its first three weeks, the introductory PEN paper in World Development had 280 downloads, and we had a better understanding of our audience and impact. We’re currently working on rolling the system out to other PEN papers in the special issue of World Development. Thousands of surveys on rural livelihoods in developing countries are being done every year. Unfortunately, many suffer from weaknesses in methods and problems in implementation. Quantifying households’ dependence on multiple environmental resources (forests, bush, grasslands and rivers) is particularly difficult and often simply ignored in the surveys. 15 research groups are already using PEN data for their own analyses. Questionnaires, technical guidelines and data entry tools are available online. Thoroughly documented in a book also available online.